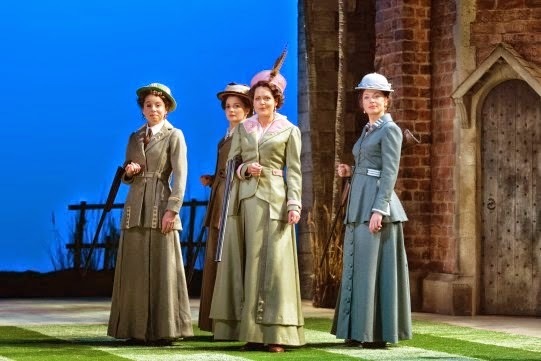 This Autumn, I have been lucky enough to see the RSC's production of Love's Labour's Lost on two occasions: a fact which, I hope, tells you how much I enjoyed it! 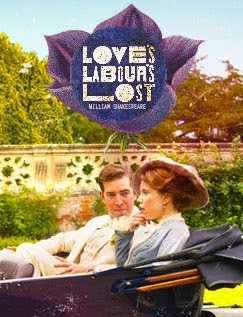 As far as we know, this Winter is the first time that Love's Labour's Won (sometimes going by the name of Much Ado About Nothing) and Love's Labour's Lost have ever been performed in conjunction with one another: enough to give any early-modernist mild palpitations! The two productions have gone down an absolute storm, winning 4 and 5 star reviews from all the major newspapers. 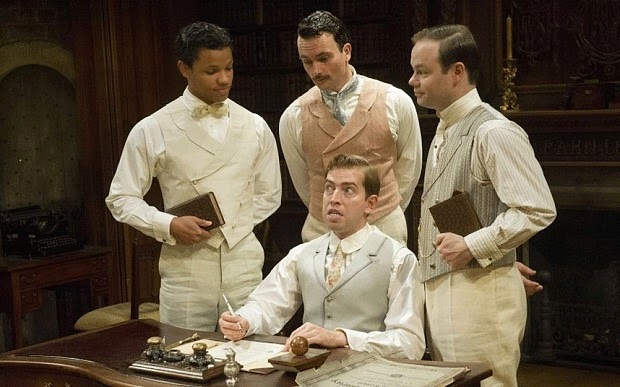 The production is set in summer, just prior to the outbreak of World War One, with Love's Labour's Won set on the other side of this unifying concept, just after the end of the war. Given this year's centenary anniversary of the start of the war, this fact in itself is not, perhaps, surprising. What Christopher Luscombe manages to do with this setting, however, was certainly a pleasant surprise! It was one of the best productions by the RSC that I have ever seen (the other two contenders being last year's Titus Andronicus and A Mad World My Masters). The unrelentingly fast-paced witticisms of the play, which have often seen it collecting dust in theatre repertoires, were superbly delivered by all the cast, but particularly so by Edward Bennett's Berone, and Michelle Terry's Rosaline. This is a play whose dialogue requires impeccable timing and delivery, and in no way did the cast disappoint. Stealing the show at several points, though, was Nick Haverson's Costard. Playing on a dynamic that was certainly reminiscent of Basil and Manuel from Fawlty Towers (it's not as anachronistic as it sounds, I promise! ), Costard and Adriano don Armado (John Hodgkinson) produced several of the biggest laughs. This was especially the case during Costard's failure to understand the meaning of 'remuneration' (from Armado's direction to him to deliver his letter to Jacquenetta: 'bear this significant [Gives a letter] to the country maid Jaquenetta: | There is remuneration'). I'm not going to say any more than that, as I don't want to ruin the joke for any of you who might still go and see this production. That said, however, think Manuel's sustained monologue in one episode about speaking English well because 'I learned it from a booook', and you're on the right lines. Whilst these various bits of characterization meant, for the first half and for most of the second, that we were in no doubt we were watching a Shakespeare comedy, the final ten minutes or so were incredibly moving. Developing the short masque, or show, performed by the Nine Worthies in the final scenes, Luscombe chose to move the news of the death of the Princess of France's father, and had the herald arrive to deliver the news before this masque had finished. With an action like a guillotine, this news signalled that the comedy of this production was emphatically over. Never have a seen such a shift in tone handled so well. As the anticipation that war was about to break out grew, the sudden realization that the hedgerow (which had taken centre stage at the back of the set during the outdoor scenes), was scattered with poppies, immediately took on a new poignancy. 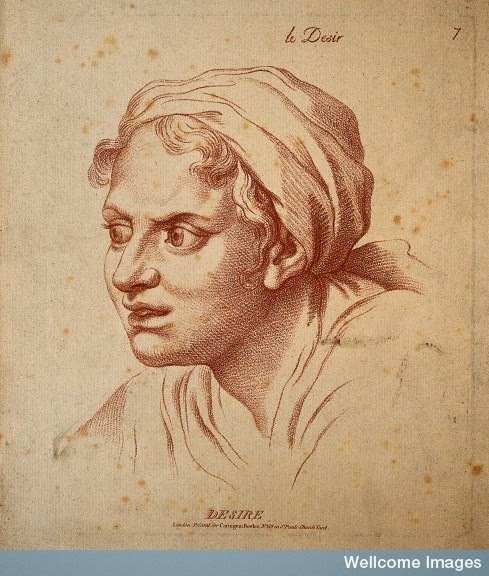 During a closing song that was born out of setting part of Berone's sonnet, addressed to Rosaline, to music, this shift from comedy to sombre respect and painful goodbyes was accelerated. As the song, sung by the entire cast, drew to a close, a faint whistle was heard, and the four friends of Berone, Longaville, Holofernes, and Dumaine marched on stage, dressed in full military uniform, and faced the cast. After Don Armado delivered the final lines, 'The words of Mercury are harsh after the songs of | Apollo. You that way: we this way', the four departed. Off they went to the war to end all wars, giving their earlier promises of a faithful return to their loved ones in twelve months time a tragically open-ended and uncertain tinge, chillingly reflecting the optimism with which the news of the war was originally met. This was a truly triumphant production, and one which I would happily go back and watch again and again. Whilst many programmes on television have tried to sensitively pay homage to the centenary anniversary of World War One, this production is by far the best approach I have seen. Proof yet again that the work of the bard really is timeless. 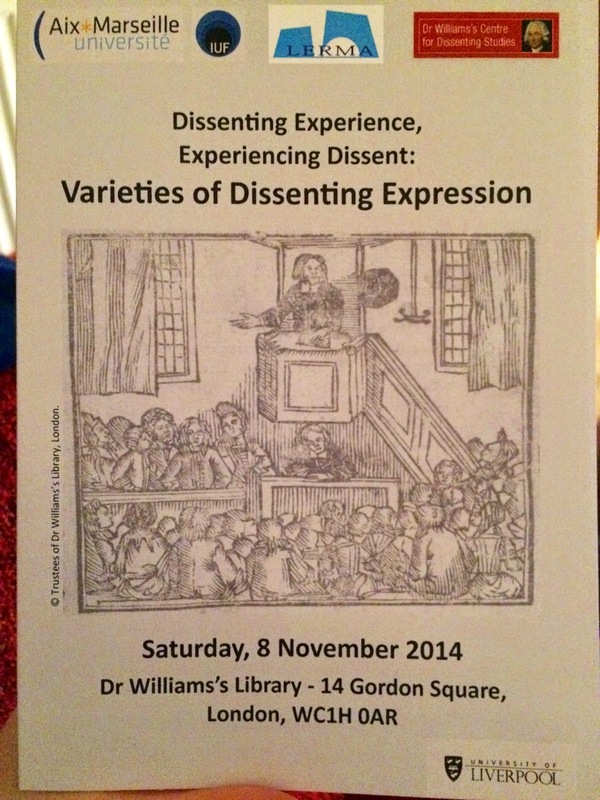 Yesterday, I attended the one-day 'Varieties of Dissenting Expression' conference at Dr Williams's Library in London! I had the pleasure of spending the day there with one of my Ph.D supervisors, Dr Rachel Adcock (@RachelCAdcock if you are on Twitter!). The day was organised by the Centre for the English-Speaking World of Aix-Marseille Université in association with the Dr Williams's Centre for Dissenting Studies and the University of Liverpool. 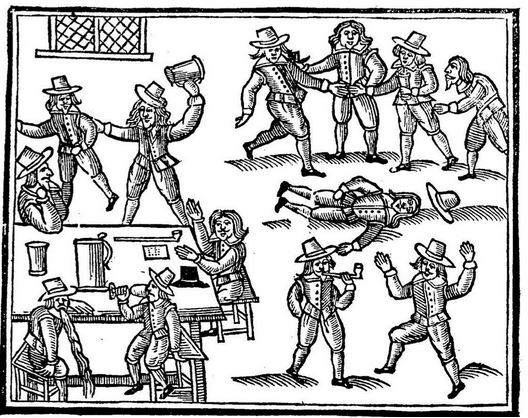 The conference focused on the forms of dissenting expression available to dissenters and their congregations, both in England and in America, throughout the seventeenth century. 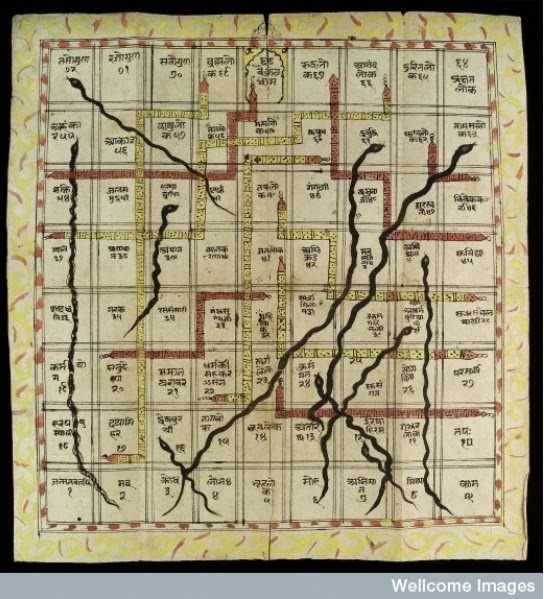 Within this remit, it also looked at how the written materials available to dissenting communities and congregations were intimately related to their religious and social experiences. 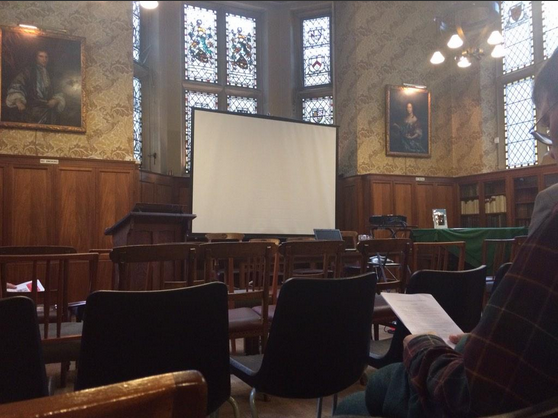 It was a conference packed with a great variety of papers given by scholars from many different areas of academia: several covered the usefulness of the contents of Church Record books to researchers; others examined the transition of these records into the digital age; and another looked at the relationship between poetry, politics and dissenting experience. Anyone who knows my research interests will immediately be able to tell that this last paper was the one I was most excited about! That said, the talk from Margaret Bendroth (Executive Director of the Congregational Library, Boston, MA) and James F. Cooper (who also does work with this library) was fascinating. Their intention is to recover the church records of congregations across America, and to be able to provide digitized versions of them both to researchers, and to those who are just curious to explore their religious heritage. The website for the library is a veritable treasure trove for researchers so, if you are at all interested in religious writing, and especially that relating to dissent or congregationalists, then I urge you to go and explore: http://www.congregationallibrary.org/. I for one will definitely be returning to this website, and am very tempted to look into the possibility of doing some transcription of the church records: watch this space! Both Peggy and Jeff (as they are commonly known!) were wonderful speakers, and have inspired me to seriously take note of this oft-neglected avenue of research. Just because a resource is not 'literary' in the strictest sense, does not mean that it will be of no use to us! The final paper that Rachel and I were able to go to was George Southcombe's wonderful talk on 'Poetry, Politics and Dissenting Experience'. Throughout my studies, any non-conformist poetry that I have come across, or paid significant attention to, has tended to be that of the libertines. 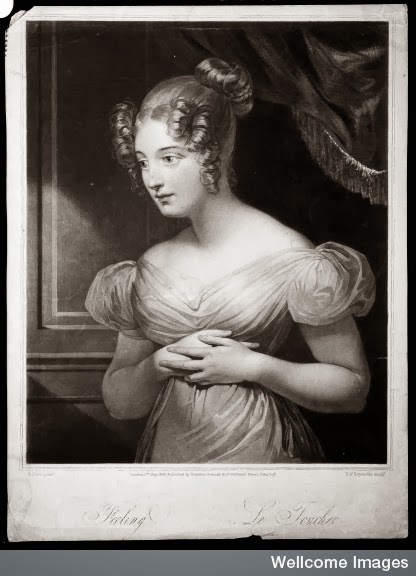 Whilst this poetry is certainly worthy of our attention, I was excited by several new names that George's paper brought to my attention, including Robert Wild and Benjamin Keach (if I had heard of these men before, I had definitely forgotten...). So, apart from opening my eyes to an area of poetry that I have definitely neglected until now, George's paper reminded me of the need to always see the poetry of dissenters as participating in a much broader early-modern culture. 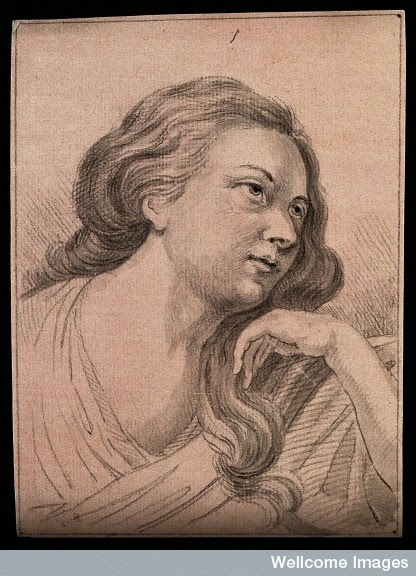 In other words, the fact that they, like other 'conformist' writers, used the poetry of their predecessors such as Milton and Dryden for their specific political purposes, should mean that we read their work within the broader context of seventeenth-century poetry. A valuable point to bear in mind! All in all, the day was a brilliant one (despite the 4.30am start! ), and has really ignited my passion for research once again. I don't know about all of you, but I find going to stimulating conferences like this one always reminds me of the reasons why I love what I do. 'Absence extinguishes the minor passions and increases the great ones': We're back! So, where have I been since the last post back in February (*hangs head in shame*)? Truthfully, I haven't really been anywhere, largely due to the whirlwind of fun and stress that was my MA year! Unfortunately, after that last post in February, I decided that it was easier to take some time off from the blog so that I could focus my attention solely on my MA work and other commitments (alongside the fact that much of the work I was doing didn't really lend itself to blogging!). This level of focus did have its drawbacks, though, but I will be saying more on that in an upcoming post that I hope will highlight some of the struggles that PGT and PGR students face during their research and studies. Anyway, I am pleased to announce that one of the very exciting products from these last few months has been my offer to start my Ph.D in my beloved Department of English and Drama at Loughborough University! As you will see from a forthcoming post, I am only really starting to now get underway, but I cannot tell you how excited I am by the prospect of everything to come over the next few years. 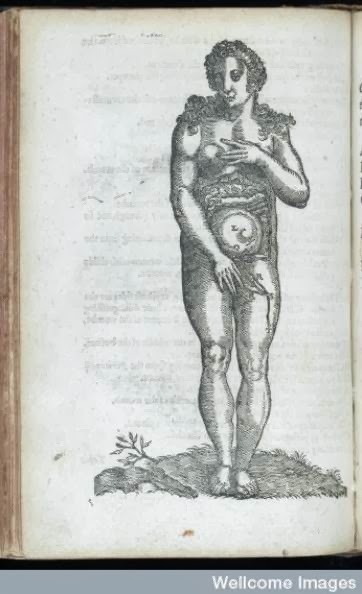 Another plus point of my entry into PGR study is also that, by its very nature, I will be finding far more little snippets of seventeenth-century literature and culture to share with you all: huzzah! So, there is my little explanation as to where I have been over the last 6 months or so, and I look forward to sharing all the goings-on of my Ph.D in due course! Just in case any of you don't know, you can also follow the blog on Twitter: @MyEMWorld. (The quotation from the title of this post is from Francois de la Rochefoucauld's Reflections: or, Sentences and Moral Maxims: 'L'absence diminue les médiocres passions, et augmente les grandes, comme le vent éteint les bougies et allume le feu' (Maxim 276)). 'A dateless lively heat': Happy Valentine's! 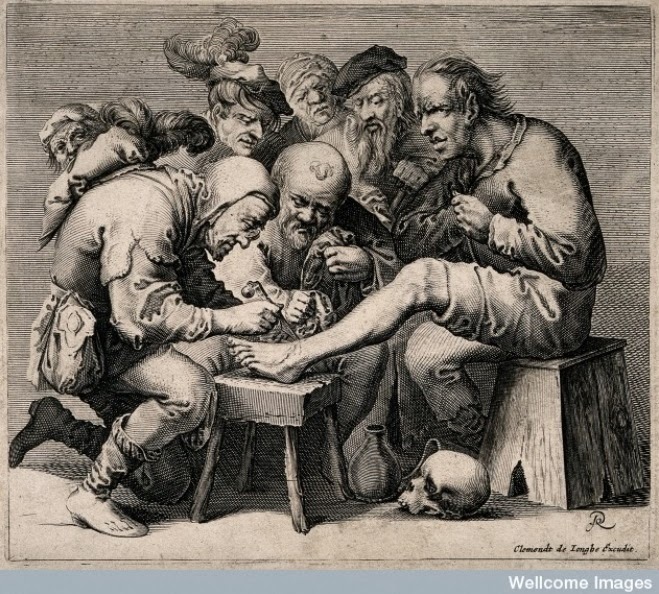 All of the images are courtesy of Wellcome Images. There will be another post coming up over the weekend on some 'Bellifying Receipts', so keep your eyes peeled! Please feel free to circulate this information to anyone who you think might be interested in this competition, or indeed to any organisations you know of you would be happy to pass it on to their members. 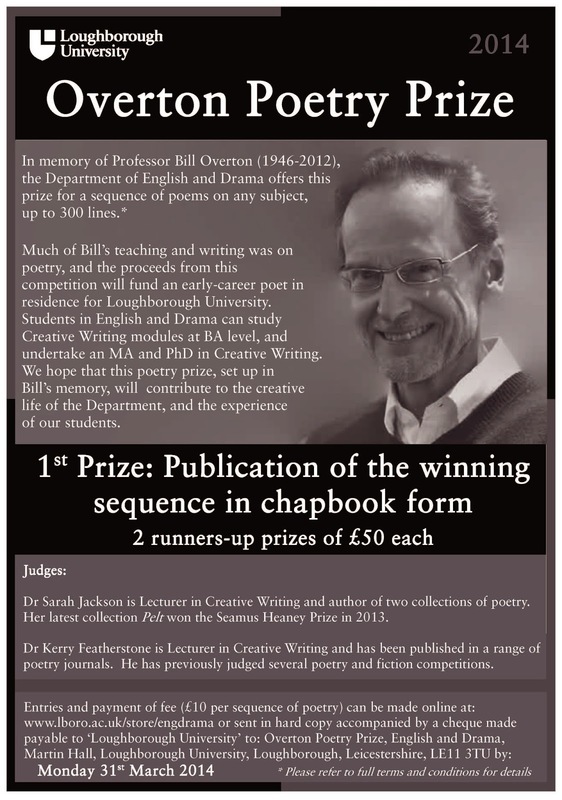 The Department of English and Drama at Loughborough University has set up the Overton Poetry Prize in memory of our Professor Bill Overton who passed away in 2012. The prize is for a sequence of poems on any subject up to 300 lines. First prize is the publication of the sequence in chapbook form, with two runners-up prizes of £50 each. Amongst the judges is Sarah Jackson, who won the Seamus Heaney Prize in 2013. The entry fee is £10 per submission and the competition closes on 31st March. Much of Bill’s teaching and writing was on poetry, and the proceeds from this competition will fund an early-career poet in residence here at the University. I'm sure you will all agree that this is a fantastic opportunity for any budding writer, and I and the rest of Loughborough's English and Drama Department would be immensely grateful if you could help spread the word! 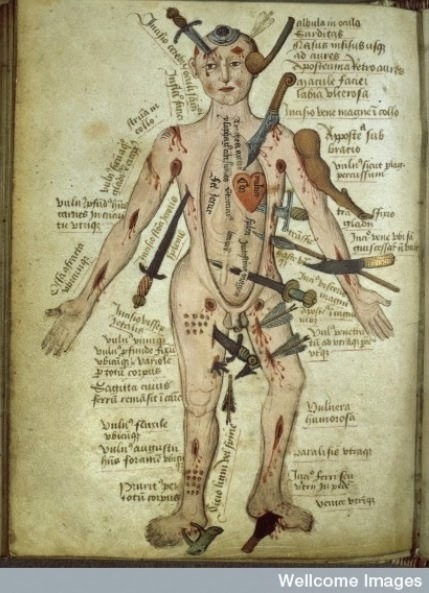 As I'm sure most of you will have already heard today, all of the Wellcome images previously out of copyright have now been made freely available! Hurrah! 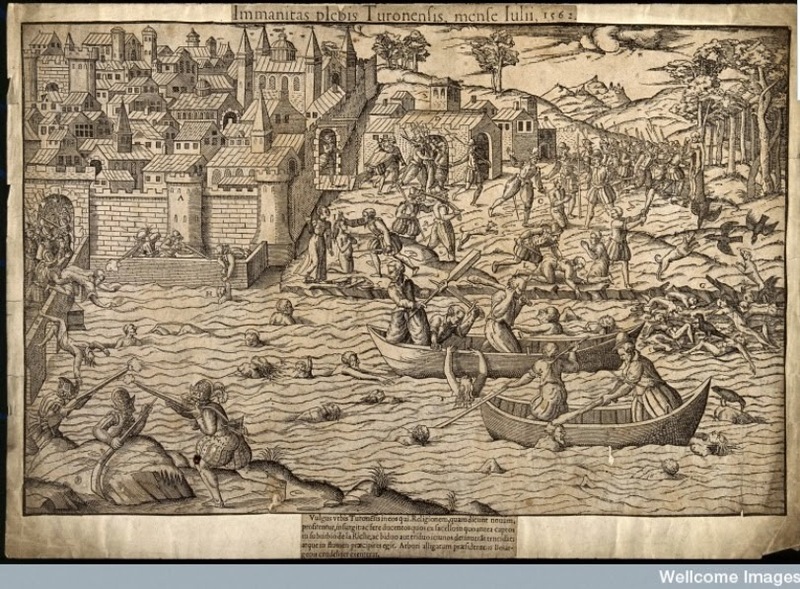 Head over to wellcomeimages.org to have a browse, if you haven't already done so. Given this wonderful news, I thought I would share a few of my favourite images that I've found as I have been having a browse through the hundreds of thousands that are available this afternoon. 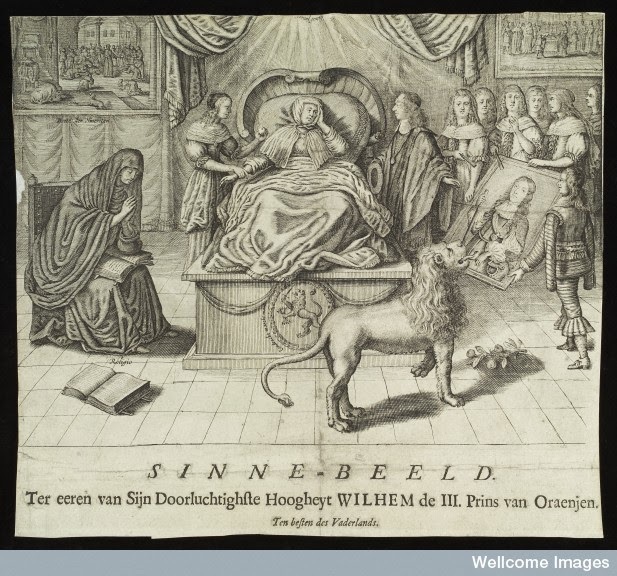 All images are taken from Wellcome Images. My blog has been rather neglected over the last couple of months. Sadly, the pressures of MA life have just meant that it has had to sit gathering dust for a little while. However, that is about to change! I have a couple of weeks off before my second semester starts, so I'm looking forward to getting lots of blogging done from the comfort of my sofa! I thought I'd kick things off today with a topic that has probably been quite close to the hearts (or livers) of all Loughborough English and Drama students and staff in recent days: alcohol. The former, due to celebratory antics as coursework deadlines pass, and the latter, as an aid to all the marking we have inflicted on them! Now, we're all quite used to popping down to the supermarket to pick up a bottle of wine for a Friday or Saturday night, and having a dazzling array of price ranges to choose from. 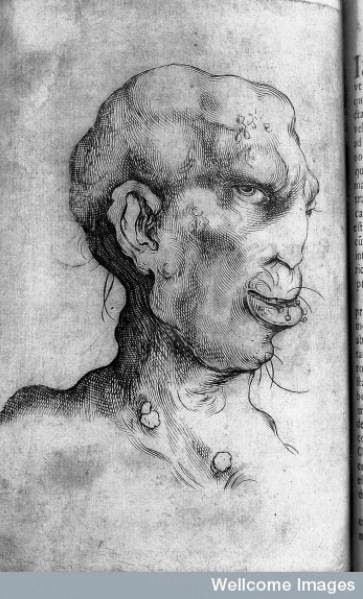 But what options were available for our seventeenth-century ancestors? 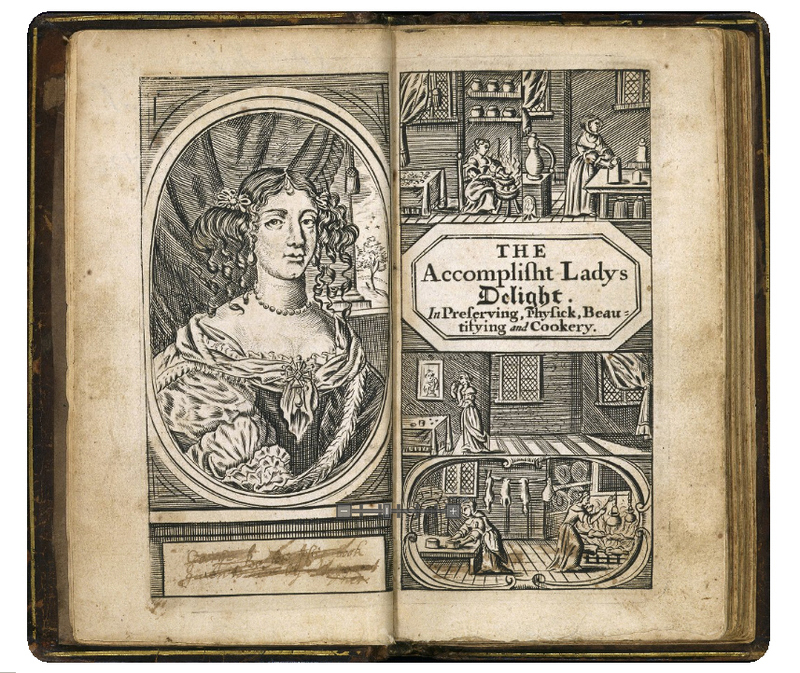 Hannah Woolley has some ingenious homemade suggestions in The Accomplish'd Lady's Delight. Take six gallons of water, two gallons of the best Syder, put thereto eight pound of the best Malaga raisins bruised in a Morter, let them stand close covered in a warm place the space of a fortnight, every two days stirring them well together; then press out the Raisins and put the liquor into the sid Vessel again, to which add a quart of the juice of Ras-berries, and a pint of the juice of black Cherries; cover this liquor with bread spread thick with strong Mustard, the Mustardseed being downward, and so let it work by the fire side three or four days, then turn it up and let it stand a week, and then bottle it up, and it will tast as quick as bottle Beer and become a very pleasant drink, and indeed far better and wholsomer then our common Claret (pp. 38-39). Take a Gallon of the juice of Black-Cherries, keep it in a Vessel close stopped, till it begin to work, then filter it, and an Ounce of Sugar being added to every Pint, and a Gallon of White-Wine, and so keep it close stopped for Use (pp. 81-82). 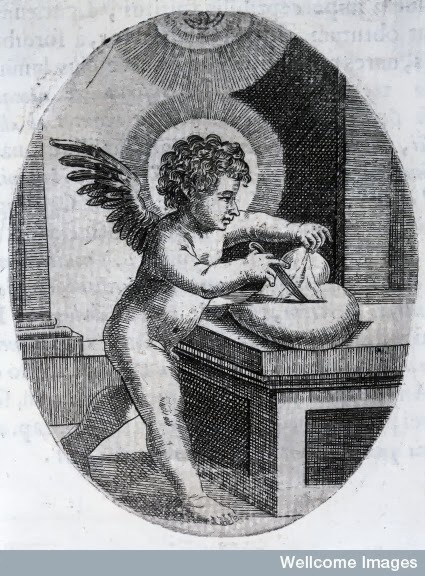 Take a Peck of Apples and slice them, and boyl them in a Barrel of Water, till the third part be wasted; then cool your water as you do for Wort, and when it is cold, you must pour the water upon three Measures of grown Apples. Then draw sorth the Water at a Tap three or four times a day, for three days together. 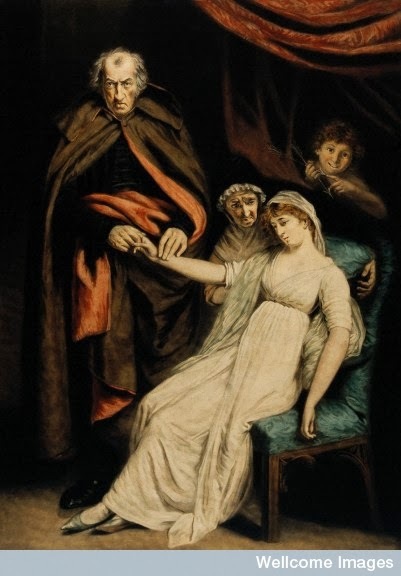 Then press out the Liquor, and Tun it up; when it hath done working, stop it up close (p. 90). Unfortunately, Woolley offers no information on alcohol percentages, so it's perhaps best to air on the side of caution when attempting to make these concoctions at home! Hannah Woolley, The Accomplish'd Lady's Delight (London: B. Harris, 1675), in EEBO. © Jenna Townend 2013. Simple theme. Powered by Blogger.